Decorating with aqua has always been a great option for many people. Aqua bedroom ideas open the door to many meanings, such as joy, lightness, hope, harmony, and cozy there are many concepts that you can find in such a color, as well as the versatility of color that goes from light to dark. 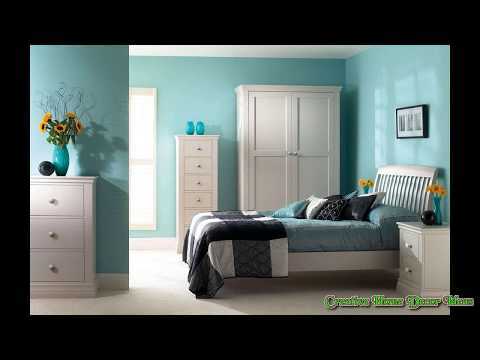 To inspire you to adopt this tone in your bedroom, we have prepared some tips and many designs of aqua bedroom ideas. If your home needs an energizing touch and more liveliness, especially your bedroom, the environment that needs to have everything to do with the personality of each one, aqua is a great choice for the bedroom. As versatile as blue, this color allows for so much small difference according to the tone. Aqua combines with virtually everything from a darker color of rustic decor to a clear minimalist style. According to experts, the aqua room is ideal for people of all tastes by going through several changes, give a sense of expansion and even naturalistic. The decoration of light aqua bedroom ideas can stand out either in the painting of one or the entire wall or in small accessories or furniture. The idea is to keep the color as a high point in the environment, with much beauty and harmony. This color conveys a sense of tranquility and freshness. How to make the colors in the room imposing, strong, attractive, vibrant and flashy? Try to give just a touch with the accessories. If you prefer a more discreet room, invest in details such as a composition of pillows, pictures, lampshade, bed set, curtains and etc. For those who like to dare, a painting on some wall is preferably at the headboard is ultra modern and full of attitude! Another tip is to opt for the colored furniture. A closet or drawer with a lacquered finish, the vintage touch can appear on pieces of furniture like a dresser, upholstered headboard or nightstand! Bet without fear of this color that never goes out of style to bring more joy, refinement, and personality to your room! Aqua is very easy to combine and complement with the most usual colors and alternatives. Think of it as a great addition to white, black, brown, pink, purple, and beige, among others. If you have chosen a beautiful aqua bed head, bet on a neutral rug and cushions stamped with vibrant tones. Here it is recommended to the bedside table be more neutral, made of white material or wood. You can also use aqua in the bedspread, blanket, and printed cushions. Simple accents of aqua color mixed with gray are what you need for the design of a modern bedroom. Aqua is the color that in good harmony with all shades of gray and look great with the background of the finish with the concrete design on the walls. And to add colors to the minimalist interior, it’s enough to choose a pair of suitable aqua accessories, rugs, curtains, bed linens or decorative pillows. Aqua and grey bedroom ideas are great for those who love simplicity and lightness in the bedroom. The combination in the bedroom design of several shades of gray is a good solution if it comes to the interior in the style of minimalism or hi-tech. And it will be nice if you tried to collect all the shades of gray and put them together in an original fresco, which is perfect for decorating the wall opposite the bed. Enjoy the living in this amazing mix of the aqua and coral. Aqua and coral bedroom ideas will take you directly to the heart of the sea. You can use aqua with white to cover the walls of the bedroom then add coral as pieces of furniture or as a soft bedding, curtains, pillows covers, and rugs. Combining the yellow and white in the decor of your aqua and coral bedroom will provide the feeling of the sun, sand, sky, and all other natural elements. You can also opt for decorating the wall with a natural painting of the sea and beach, such an idea will fit perfectly in your new bedroom. You will be amazed when you reach the final look. And it will surely change the feeling in your bedroom to a warmer and cozy feeling. Be sure of your choice and begin the changes as fast as you can. Then enjoy the new feelings that are provided by the aqua bedroom ideas.